Dense mid-purple with generous fruit and a little touch of oak. Dark blackcurrant fruit, real intensity through the middle, yet still a sense of purity and grace. It was difficult at the start and difficult at the end but OK in between”, says Nicolas, who began harvesting on 6th October. Younger vines flowered better, giving more volume than 2012, and only the Beaune vineyards were hailed on. There were no grave problems with rot, and they avoided heavy extraction as the colour came easily enough. Nicolas noted that cool vintages such as 2013 are best for terroir definition, and certainly the hallmark of his wines this year is elegance, and precision. 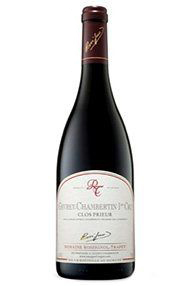 The Wine Advocate - Tasted blind at the Burgfest tasting in Beaune, the 2013 Gevrey-Chambertin 1er Cru Clos Prieur was showing a touch of reduction on the nose: earthy in style, touches of cold stone infiltrating the brambly red fruit. The palate is medium-bodied with supple red cherry and strawberry fruit, a fine line of acidity. It is not a complex premier cru though the fleshy, lithe finish slips down the throat with ease. 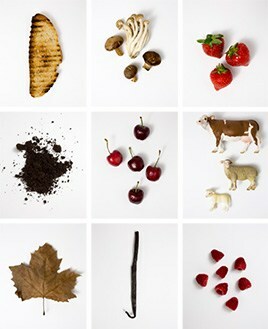 Pretty, if lacking a little substance. Tasted September 2016. This wine domaine was created through the marriage of Jacques Rossignol of Volnay with Mado Trapet from a noted Gevrey-Chambertin family. 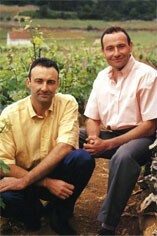 Their sons Nicolas and David Rossignol have managed the domaine since 1990, moving subsequently to biodynamic farming. The first experiments started in 1997 with their Chapelle-Chambertin, followed by conversion of the whole domaine in 2004. As a result the wines are both finer and purer than they used to be. The grapes are sorted first in the vineyard and then on a sorting table at the winery. They are mostly destalked, cooled down, then given two to three weeks fermentation. There may be a little lees-stirring in tank before the wines go to barrel. There is no racking unless reductive flavours require it. The domaine Rossignol-Trapet uses 10% per cent new oak for its Beaune Teurons, which comes from a 2ha plot situated next to a small limestone cliff which reflects the heat back on to their vines, 25 to 30 per cent for premier cru Gevrey-Chambertin, 50 per cent for the grands crus with perhaps a little more for Le Chambertin. The most recent development is to offer separately its various small holdings of premier cru Gevrey such as Cherbaudes and Combottes. Jasper Morris MW, Burgundy Wine Director and author of the award-winning Inside Burgundy comprehensive book.